I think it’d be cool to put out all the shows from that run rather than a compilation, but I’ll take what I can get when it comes to Isbell soundboards. Is that from the 3-day run with a different Petty cover each night? 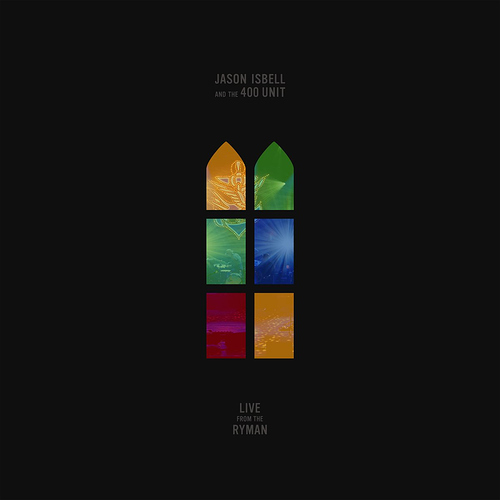 Live from the Ryman was recorded primarily during the group’s six sold out nights at Nashville’s legendary Ryman Auditorium in 2017. The double album features 13 live versions of songs from their last three critically acclaimed, award-winning studio albums - Southeastern (2013), Something More Than Free (2015), The Nashville Sound (2017). So he’s not putting out any complete shows or old songs. Oh well. I’m sure it’s good but I’d rather hear complete shows. This new Phosphorescent record sound good. This new David Crosby song and album sound pretty good to me. I guess I’ll probably pony up the bux for his show coming up next month here in town. Croz is back, again. Singer-songwriter David Crosby releases his latest album, 'Here If You Listen' on Oct. 26. I’m excited for new Phosphorescent!! I’m waiting to listen til I have the full album. Will be in the box as soon as I get it! His use of synthesized voices on one of those songs was a bit annoying, but I liked all three of the songs I heard. Did you get it, LB? I didn’t put it in the box because I wasn’t sure if you were in the process of getting it or if you were waiting to get it. ETA: It’s in the box. Cool thanks! Steve put in my Dropbox I just hadn’t looked yet or copied to the group box. I watched Phosphorescent on tv doing a song and loved it. Looking forward to Fudge Sandwich, Ty Segall’s cover album (out at the end of this month). His cover of Everyone 's a Winner is the best cover I’ve heard all year, and this could be good too. There’s even a Grateful Dead song on it! That sounds interesting. I love a good cover album. Have you heard Everyone’s a Winner (Hot Chocolate)? There’s a live version on youtube (Jimmy Kimmel) that’s even better than the studio version. I remember watching this when it aired… great stuff! By Kurt Vile, featuring Kurt Vile. Will get this in the box over the weekend. New Phosphorescent. New Isakov. New Jim James. Good day!